Take it from the guy who was thrown off a plane for taking a picture of his seat…there is going to be stiff flight attendant resistance to United’s updated onboard photo policy. And maybe some passenger pushback as well. I’m the guy a FA threw off a flight from Newark to Istanbul in 2013 for taking a picture of the back of my business class seat. You can read the full story here. United Airlines recently updated its onboard photo policy, relaxing restrictions on what kind of photographs passengers can take onboard. The use of small cameras or mobile devices for photography and video is permitted on board, provided that the purpose is capturing personal events. Photographing or recording other customers or airline personnel without their express consent is prohibited. Note the subtle difference in wording that I have bolded above. Other passengers and crew members can now be filmed without permission, as long as it does not create a safety or security risk. A safety or security risk? More on that in a moment. Every day, we connect our customers to the moments that matter most. Capturing those moments – from the concourse to the cabin – is a meaningful part of the journey for many of our customers. Those moments are also opportunities for us to deliver truly caring travel experiences that keep our customers safe. We live in a world where the vast majority of our customers carry smartphones which they frequently use to capture aspects of their travel experience. Always ensure your behavior is in line with our core4 principles. Should a customer begin taking photos or videos and capture you doing your job, you should feel proud of the job you are doing. Allow customers to photograph or record you unless they are creating a safety or security risk or preventing you from doing your job. If you believe a customer is violating this policy, then please follow your standard operating procedures and escalate to your supervisor. While I actually love how explicit the FA memo is above in stating that consumers should be allowed to photograph FAs performing their work, remember how vague and broad the words “safety” and “security” are. It was on those pretenses I was thrown off my flight. I can imagine it will be on those pretenses that many will be stopped from filming FAs at work during the flight. I do not expect any more Dao incidents again, but if a FA asks you to stop filming, understand that you have very little recourse, even if the new rules are printed clearly in Hemispheres magazine. At the same time, nothing will ever stop passengers from filming incidents in which FAs or other airline staff overstep their bounds. I think FAs already know that. How to Protect Against Invasive Passengers? There’s still a line of decency that should not be crossed. If my seatmate starts videoing me, without my consent, during the flight…I’m going to resist. I see quite a difference between taking a few cabin shots that may include seated passengers and FAs and explicitly taking pictures of other passengers in the cabin without their consent. And on that note, I do see why FAs might be angry at this change. As Gary Leff noted, “The widespread use of cell phone video has become important to document events and create proof when bad things happen.” That will never change. But I applaud United for liberalizing their photo policy. Even so, I expect significant FA pushback…especially from ones who do not wish to be held accountable for their actions. I also would not be surprised to see a few cases of “air rage” result from this incident when a passenger who does not want to be photographed is included in another passenger’s photo. I reported this incident to United as to the best of my knowledge, I had never had this kind of problem happen, and United doesn’t say anything about taking photos of cockpits explicitly. I understand this kind of stuff could cause people in mainland China to freak out, but everywhere else around the world, it is quite common for aviation enthusiasts to do this. As for United’s new photo policy, I would assume nothing would change too much, but for the small minority of people who are like the supposed “flight attendant” I mentioned earlier, it could cause many problems. United’s policy long preceded social media. When my wife and I was on a United flight to Honolulu 30 years ago, I just wanted to kick off our honeymoon video by recording my wife in her seat with my video camera (video tape!). We were both seated and the plane was still boarding passengers. The FA came by and admonished me and told me to turn off my camera immediately. I really couldn’t understand why and it certainly wasn’t common knowledge back then that there was some rule against. She sure made me feel like newbie and I was already a frequent flyer. Looks like that’s an old rule for United. I still can’t believe you continue to fly UA after they kicked you off! You must be a zen master. I’m seriously considering switching to DL since UA lost my bag for 3 days and then wouldn’t take my word for it or issue comp. Did you EXPECT them to take your word without proof? Heck, They lost my attache case containing a million bucks and my family jewels, they wouldn’t just take my word for. Curse you, United! In this day and age cameras are everywhere. It’s unrealistic to think they won’t be used in every circumstance. Often they record events that otherwise would be disputed as to the actual events that occurred. I don’t think they should be limited in any way. The notion that filming an event can somehow interfear with any event is perpostrus. How many events have been filmed to record the real truth that otherwise would just be another he said she said. My suggestion is that Uniter should have constant recording of the cabin for later use should that be necessary. Then the new policy would make more sense. Fack off dummy, get a life! Taking video of your FA behaving badly IS a Safety concern of a passenger…..! Better bring my camera to take videos of passengers misbehaving. And re-reading the piece on getting kicked off, you still fly United? Wow, either you’re a far more forgiving person than I am or you’re a glutton for punishment. I don’t take many pics, and never any with other people in them; but I can appreciate why you need to. I don’t care if I end up in someone else’s snaps; it is a public place after all, and pretty harmless. don’t many planes have video being recorded all the time ? We all tend to forget about privacy rights – the right of anyone to NOT be photographed or have videos taken without their authorization. Whether we like it or not, privacy rights are not waived when taking pictures of someone doing something wrong. In the UAE a driver was videod beating up another driver. Who was prosecuted? The person taking the video. Now I know this is not the UAE, but what happened there should be a consideration. Look up “Reasonable Expectation of Privacy” law. Your privacy rights only go so far. Once out in public, when it comes to photography, etc it’s a whole different ball game. Mathew you call yourself an avid traveler and you actually write this garbage? 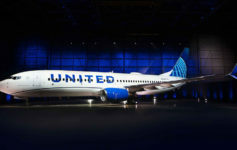 The whole article is fear basing toward Flight Attendants reaction to United’s new photo policy. Instead of praising them and setting a positive tone you decide to create drama by insinuating how Flight Crews will carry out the new policy. As a REAL AVID TRAVELER, I can say there are so many different situations that happen onboard a plane. I rarely have any issues with Flight Attendants, of course I’m not the “ALL About ME’ passenger. I actually acknowledge that hard job Flight Attendants face day to day, I respect the job they do to keep us all safe. I actually have friends that are Flight Attendants and the training they go through to prepare for the worse case scenarios are rigorous. Attacking Flight Attendants over a new photo isn’t necessary. Read the kick off and update from 2013, what was the final resolution to that if I may ask?